In late 1965, rock ‘n’ roll legend Bob Dylan began recording the album that would subsequently become widely considered as his masterpiece. But the initial recording sessions for Blonde On Blonde, held in New York City, didn’t go all that well so Columbia Records staff producer Bob Johnston recommended moving the project to Nashville (an action that Dylan’s manager, Albert Grossman, was vehemently opposed to). Dylan agreed to the relocation and recording on the album reconvened in February 1966 at Columbia’s Studio A in Nashville. Johnston brought keyboardist Al Kooper and guitarist Robbie Robertson down to Nashville for the sessions, but otherwise the producer rounded up a bunch of the Music City’s most talented players to record – legendary musicians like harmonica wizard Charlie McCoy, guitarists Wayne Moss and Joe South, and drummer Kenny Buttrey. Over the course of roughly eight days spread across February and March 1966, Dylan and his band spun pure magic out of these sessions, and Blonde On Blonde would be released as a double-album in mid-1966 to nearly universal critical acclaim. It would peak at #9 on the Billboard album chart in the U.S. and #3 in the U.K. and would eventually be certified as double Platinum™ for over two million in sales (during an era when few albums sold a quarter of that number). 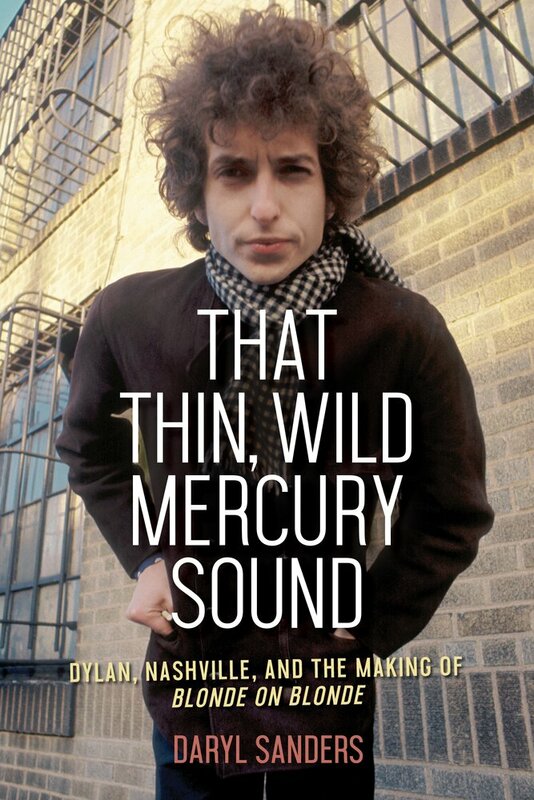 On October 2nd, 2018 the Chicago Review Press will publish That Thin, Wild Mercury Sound, author Daryl Sanders’ in-depth history of the making of Blonde On Blonde. A well-regarded Nashville music journalist, Sanders has served as editor for a number of local publications, including Hank magazine, Take One magazine, and Bone music magazine and as a writer he’s contributed to The Tennessean newspaper, The Nashville Scene, and The East Nashvillian, among other publications. That Thin, Wild Mercury Sound provides the definitive account of the sessions that resulted in this classic album, Sanders interviewing the people who played on the album, correcting much of the misinformation that swirls around Blonde On Blonde with new details sourced by years of exhaustive research. Daryl Sanders is a friend and colleague of mine dating back some 40 years. He has been my editor at three different publications, and we spent more than a few hours on the phone talking about this new book. When it comes to Dylan, Daryl knows his stuff and he’s been around the Music City, and involved in the local music scene, long enough that he knows all the major players, from the recording studios to the executive suites. There are a heck of a lot of Dylan-related books available – enough to stock a smallish library, really – but none of them have dug this deep into the making of one of the Scribe’s most creative, critically-acclaimed, and commercially-successful albums. 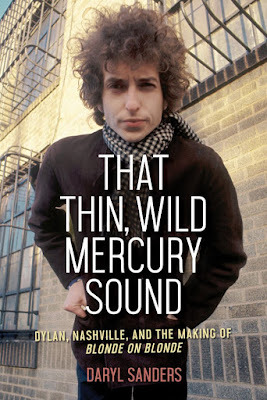 If you’re a Bob Dylan fan, you’ll want a copy of That Thin, Wild Mercury Sound on your bookshelf. Chicago Blues Legend Otis Rush, R.I.P. Jefferson Airplane’s Marty Balin, R.I.P.